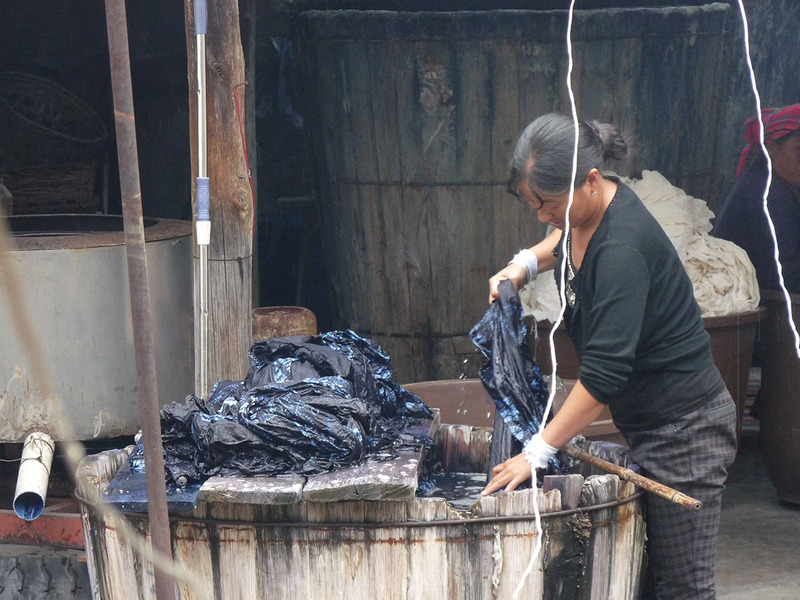 Over the last 1000 years or so, Zhoucheng near Dali in China’s Yunnan province has become known as the place to find traditional Chinese tie-dye or knot-dye fabric. 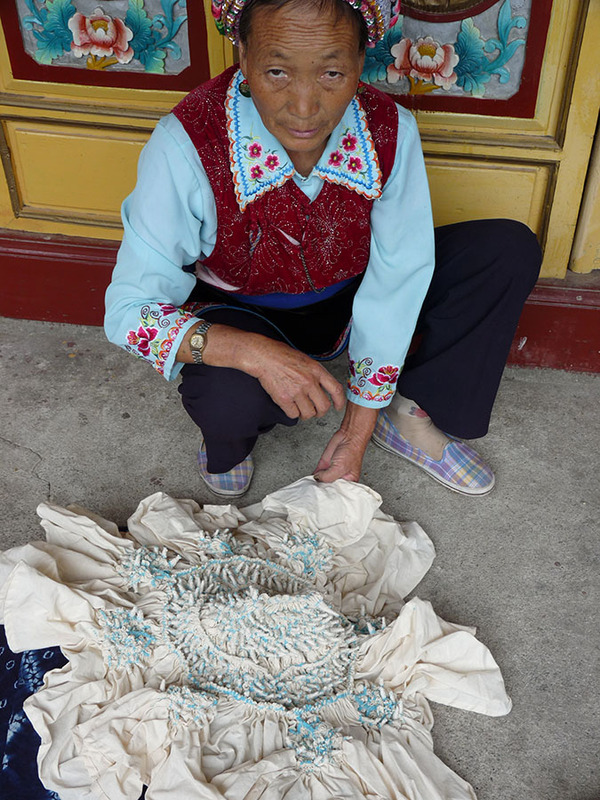 The Bai people around Dali are well known as experts in this process, wearing small pieces of tie-dyed material in their headdress and tunics and producing what is officially recognised as China’s finest examples of this process. 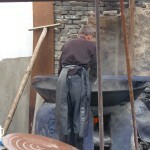 I visited Zhoucheng in July this year and was fortunate enough to witness the process first hand. 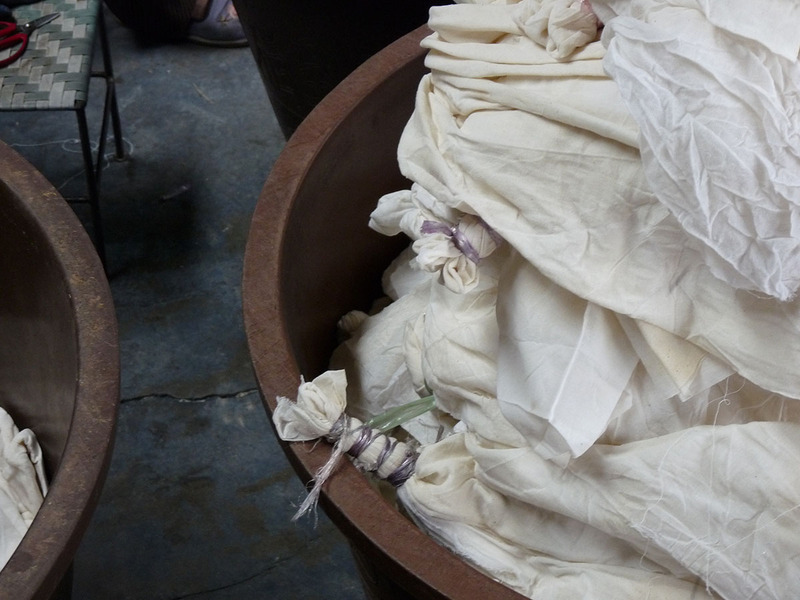 First, the outline of the desired pattern is drawn onto the material using natural indigo from Chinese woad (a relative of the plant the Picts used to use to decorate themselves), and then stitched tightly and knotted before being washed in cold water. 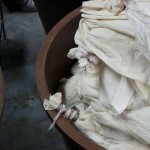 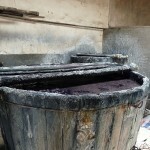 After this the fabric is given its first dunk in a wooden tub of indigo dye. 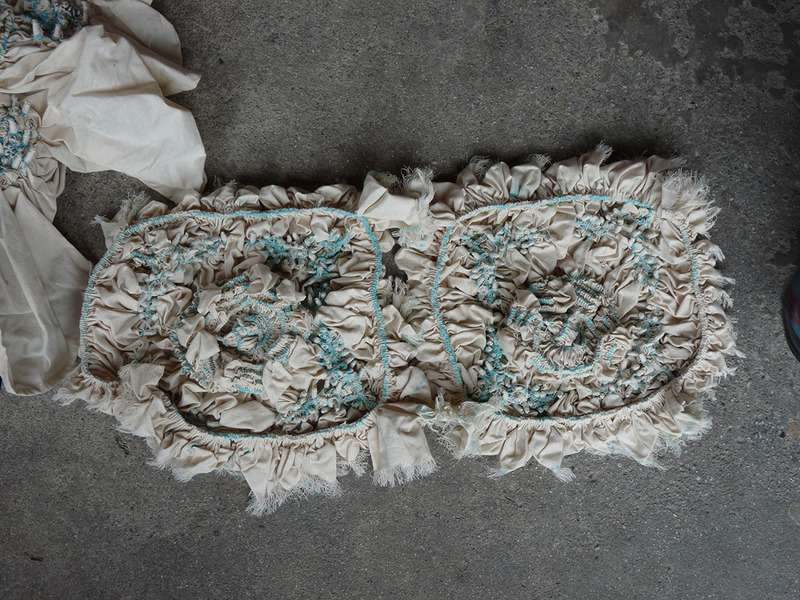 The stitching and knotting binds the material so tightly that the die is unable to reach these areas and thus leaves it white, thus creating the intiricate patterns and images. 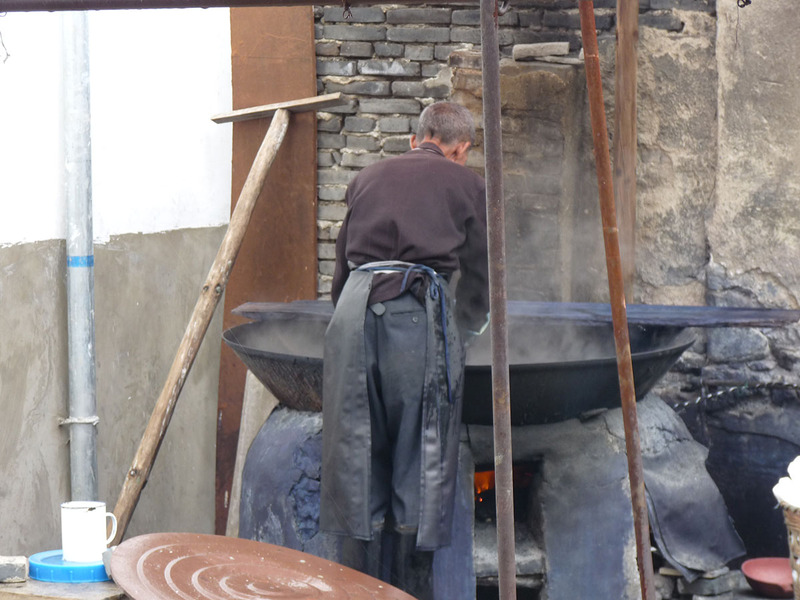 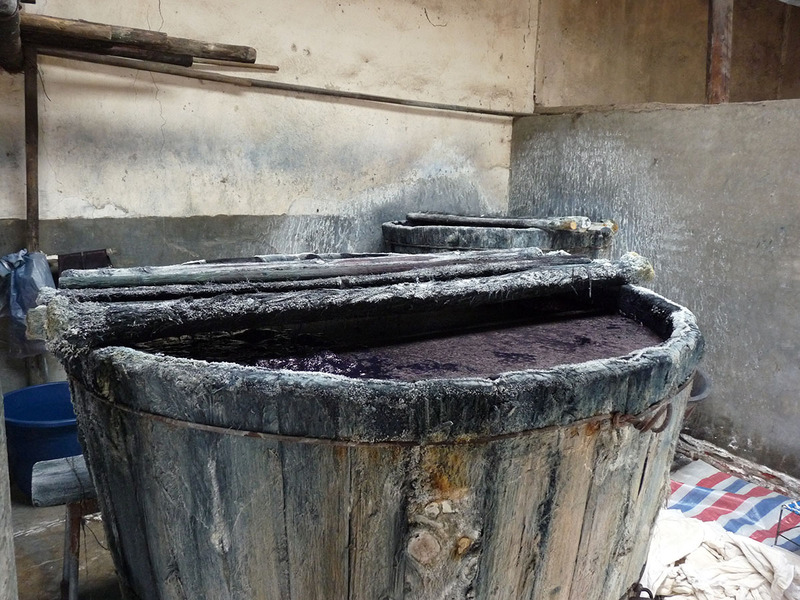 The Bai still use natural indigo in this part of Yunnan although some places are starting to use chemicals. 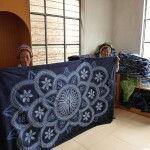 All examples of this product sold by …in a strange land will be using traditional dyes and techniques, making each piece unique and kind to the skin. 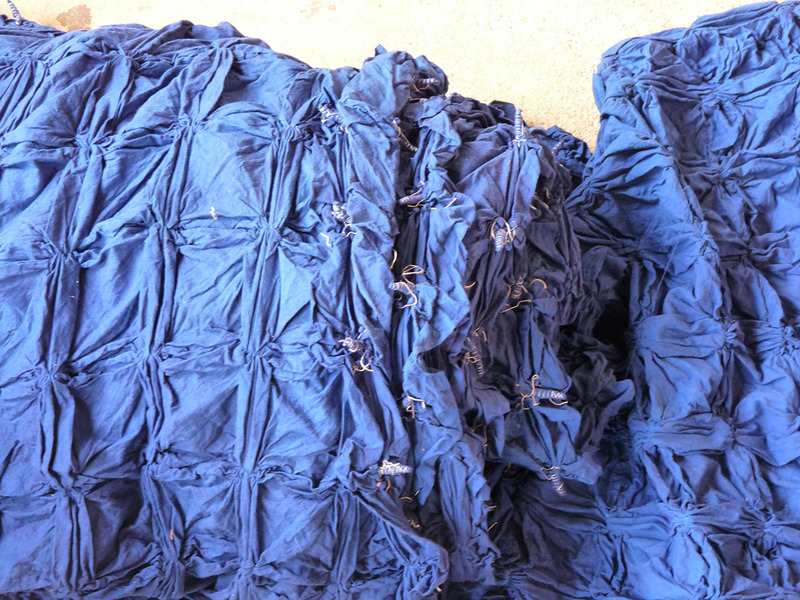 Each piece needs to be dyed and dried several times over a period of weeks to give it its beautiful deep blue (Or should we say indigo?) 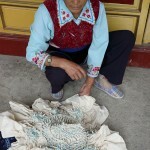 colour, before being unpicked and spread out to reveal the beautiful patterns. 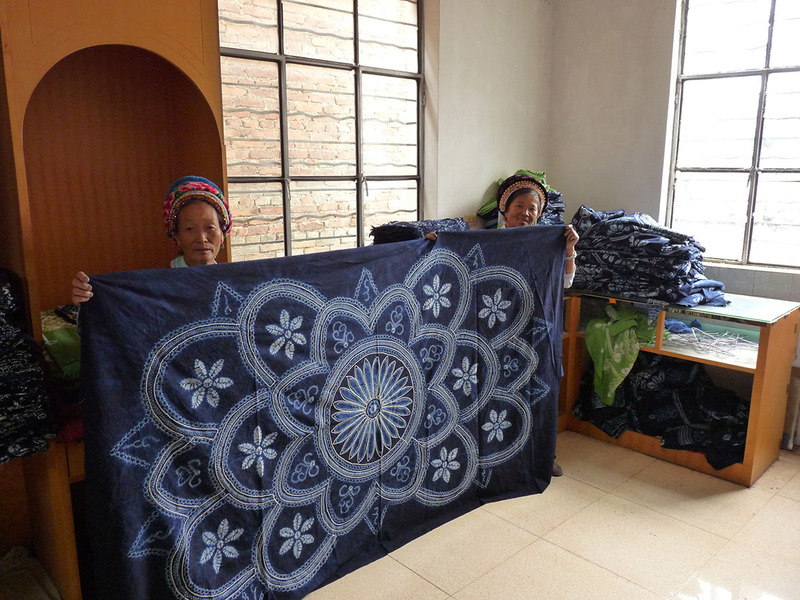 Dai patterns traditionally include butterflies, fish, flowers, stars and the sun, embodying their close relationship with nature and making for a quite stunning range of unique designs. 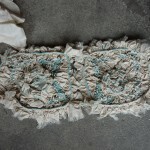 Due to the way in which these items are made no two are the same, making each piece one of a kind. 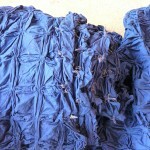 See our range of Tie-dye textiles available to buy here. 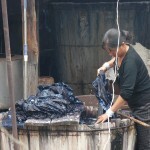 …and that’s why they call it tie-dye!